The Community College of Allegheny County (CCAC) faced intermittent financial challenges on several occasions since its founding in the mid-1960s. Perhaps none were more serious than those in the fall of 2003. CCAC’s operating expenses were approximately $107 million in fiscal year 2002–2003, while serving full time equivalency headcount of an estimated 18,000 students in its degree and certificate programs (CCAC 2003). Its noncredit community education program was also substantial, and was attended by thousands of students. Local residents were served by a network of four campuses and several smaller centers in Allegheny County, the hub of which is Pittsburgh, and an additional center in Washington County. 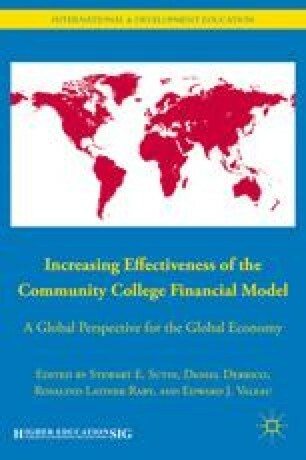 The following case study highlights CCAC’s financial challenges that became a source of special concern between 2003 and 2008, while summarizing a comprehensive three-year stabilization plan proposed by administration and approved by the board of trustees and the achievement of two successive administrations in successfully meeting financial challenges. The overall objectives of financial stabilization plan were to sustain the quality of education, maintain affordable tuition, and consistently balance the budget. CCAC’s leaders, faculty, staff, and board of trustees were made aware of the need to adopt an improved financial model.